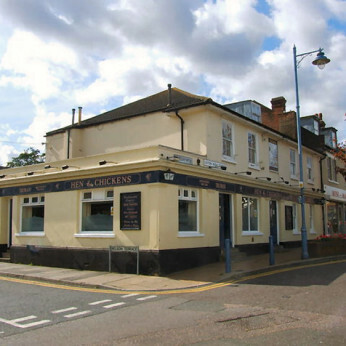 The Hen & Chickens offers a wide range of beers, lagers wines and spirits in comfortable and friendly surroundings. As well as an excellent juke box, we have a pool and bar billiard table and offer one of the only TV-free pubs in the area. We have a local, friendly atmosphere and welcome new-comers.